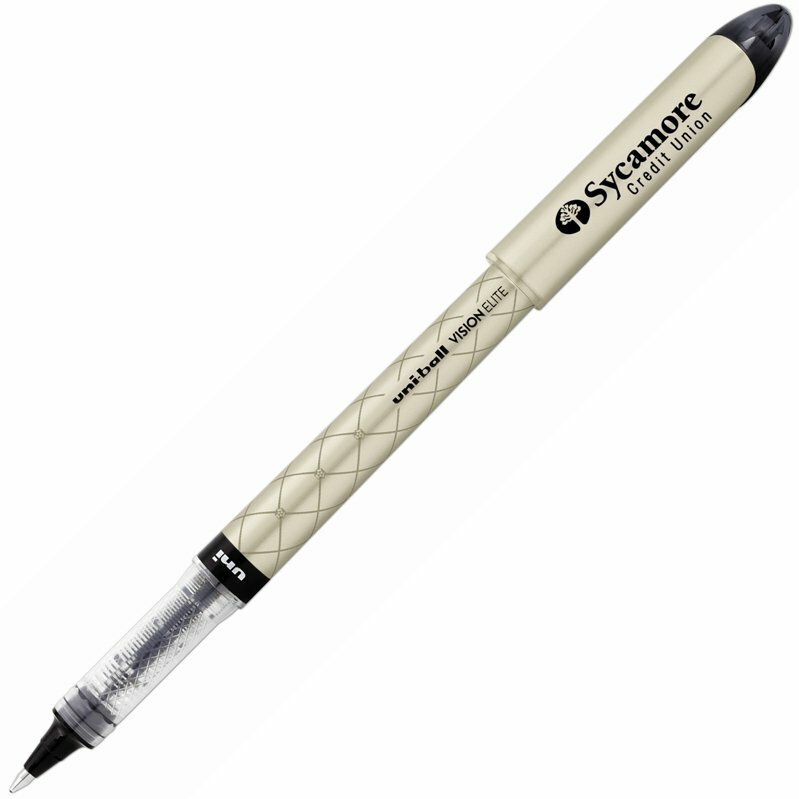 from the ability to deliver leak free smooth writing in indelible ink. Uniball always first in roller ball pens, delivers innovation again. Available in five pen colors, with Uniball Super Black Ink only. An Elite Designer Pen has 0.8mm ball produces 0.6mm line. Delivery from date of order for company pens is 2-3 weeks. Price includes one color imprint on the cap 1.312" w x .50" h.